This wedding felt like I was a guest celebrating with old friends. 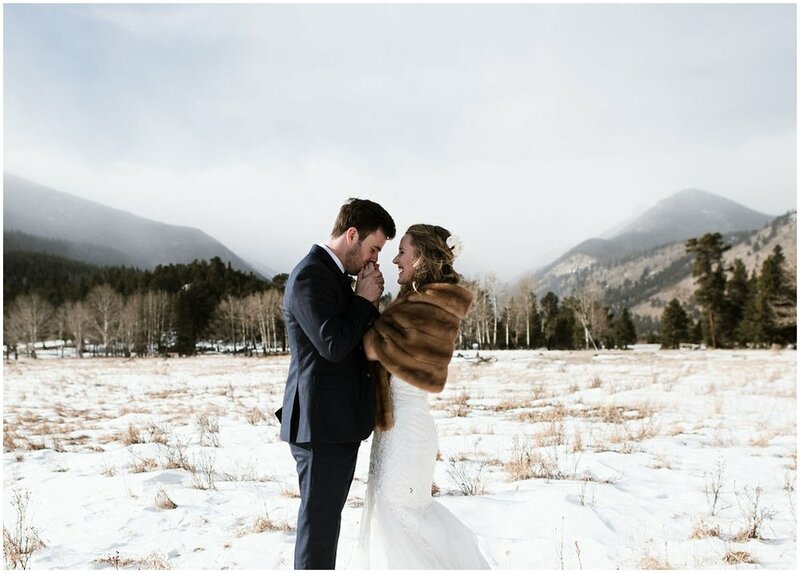 Dan and Haley are ultimate ski bums—they met in Breckenridge, got engaged on the slopes, and said, “I do!” in Estes Park. 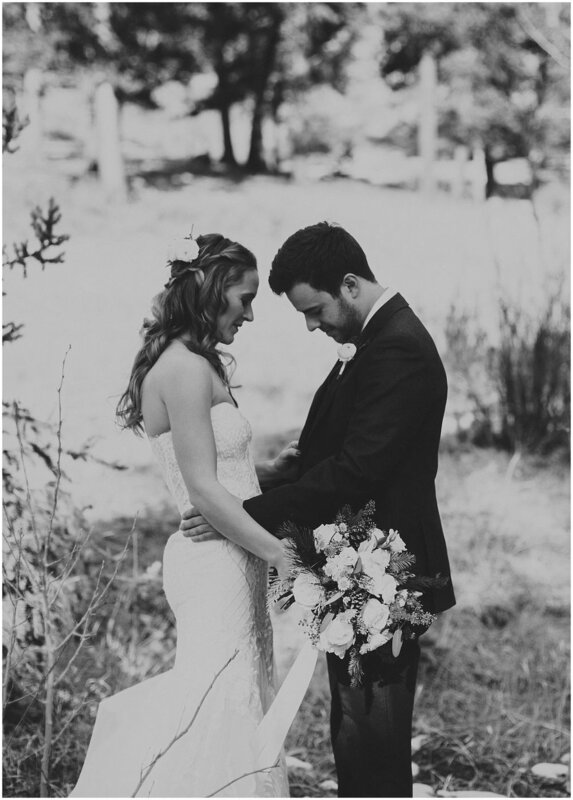 It’s safe to say that these two fell in love with each other as they fell in love with the mountains. They share a passion for adventure, and there’s nothing better than that! Dan and Haley are the most amazing couple. They’re both super laid back with contagiously fun personalities. Their transparency and goofiness make it easy to just be yourself around them. 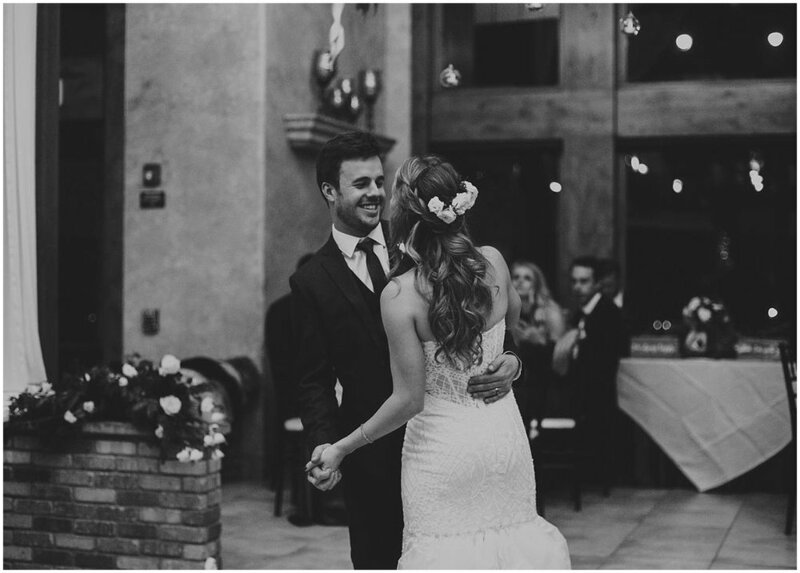 Their authenticity made for some pretty spectacular wedding photos, too. With minimal directing, they fell right into a groove with each other as I clicked away. 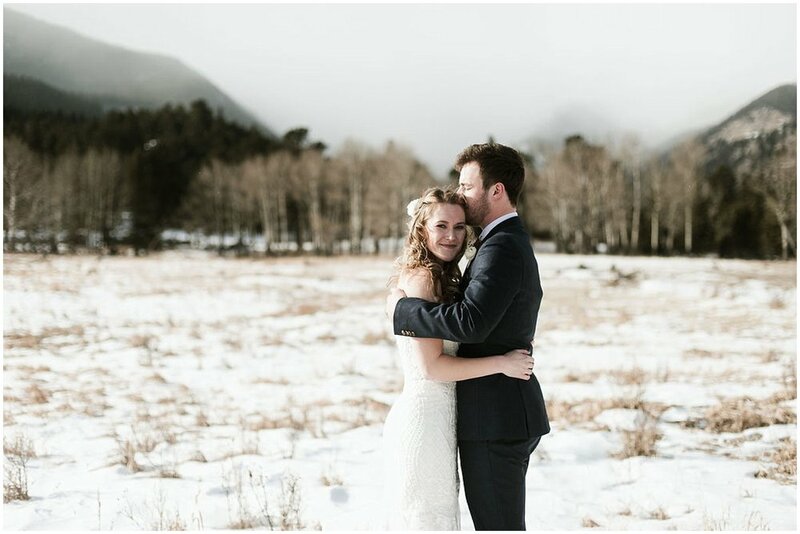 It was freezing and windy, but that’s nothing unfamiliar to this snow-loving couple. In fact, the chill seemed to energize them as they traipsed across the powder-covered field together. 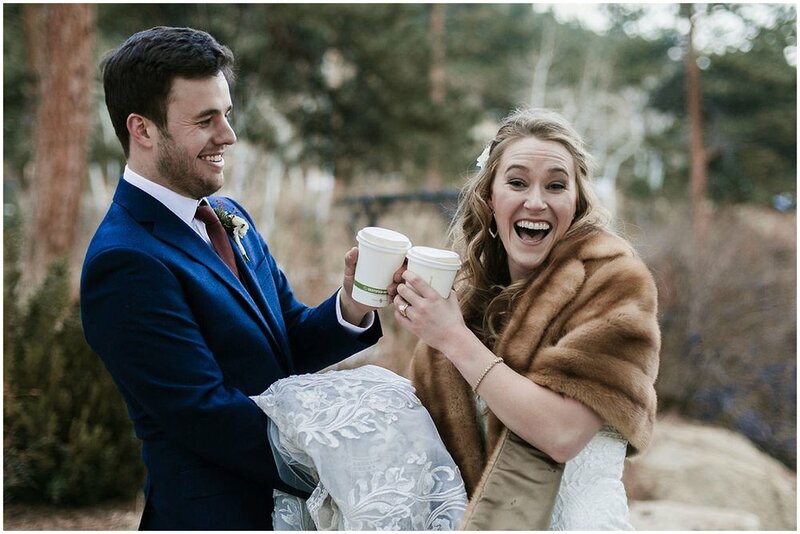 Even for this winter wedding in Colorado, Dan and Haley chose to have an outdoor wedding. It was magical! 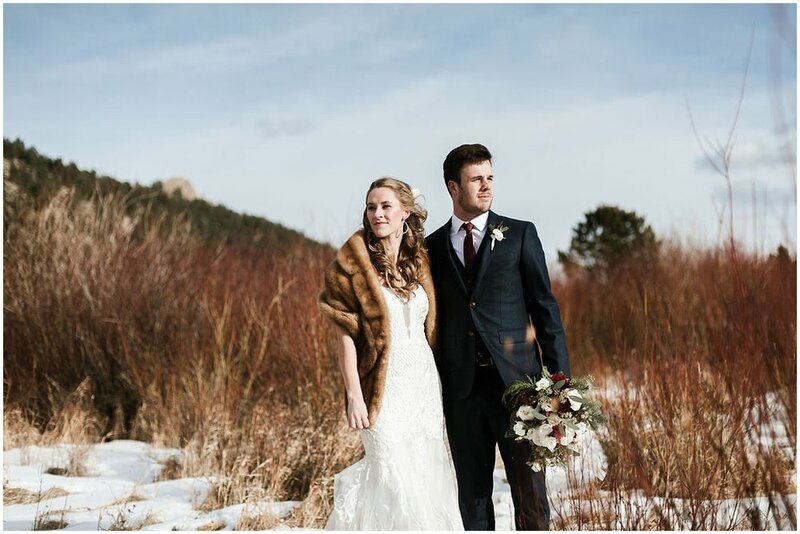 The bridesmaids wore dark burgundy dresses with cream-colored wraps, and Haley wore the most beautiful fur bridal shawl. After the ceremony, everyone headed inside for a warm celebration. The hall was so meticulously decorated with deep-colored greenery, wood accents, and rustic-chic décor. I thought it was so cute that the party favors directed people to their seats and were labeled with popular ski areas throughout Colorado—a great personalized touch! Thanks for letting me capture the special details of your wedding day, Dan and Haley! I truly had a blast with you two. Congratulations, and I wish you both many years of happiness!